I’m excited to announce that you can now find two styles of Flapper Girl Bijou Ties on ModCloth. I’m thrilled to have Flapper Girl be a part of one of my favorite online clothing boutiques. This is a very surreal & proud moment for me. 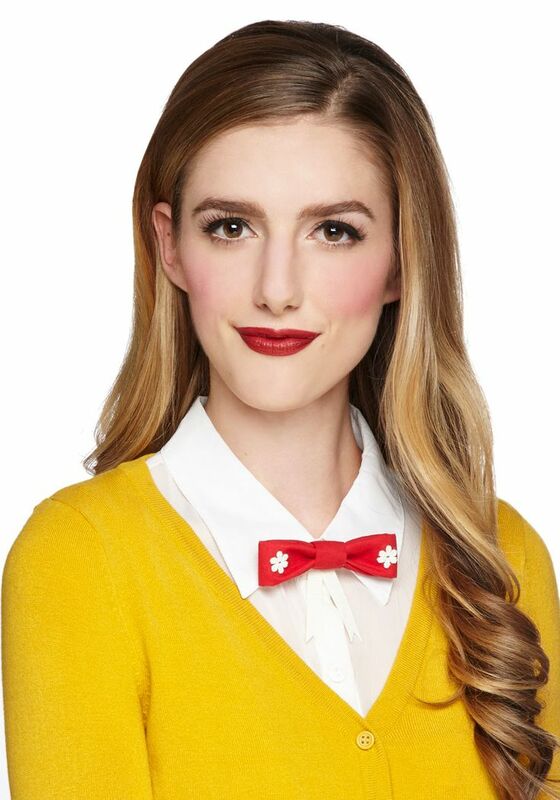 Thank you, ModCloth! And, as always, big thanks go out to all of you for your Flapper Girl ♥ and support. The other day I received a box of goodies from a little boutique I had been consigning at in Maine. It had been years since I had sent in goodies, and the box I received from them was filled with adorable things from Flapper Girl’s past, including my Oh Deer! hostess aprons, squirrel coffee cozies, and ruffle-bum knickers! Since these are things I no longer make, I’m going to offer them up at rock-bottom prices! • US Shipping is $3, no matter how many you order! • International Shipping is $5, no matter how many you order! If you’d like to place an order, please send me an email at christine@flappergirl.org, letting me know which apron(s) you’d like to buy. I will then set up a reserved order for you on Etsy, and update this page as aprons are sold. Thanks! • If you are interested in the squirrel coffee cozies, I am offering them up for only $4 each (regular price $12). Please email me for color combinations. • If you are interested in the ruffle-bum knickers, I am offering them up for only $8 each (regular price $25). I have six in stock in a range of colors and sizes. Please email me for more details and photos. 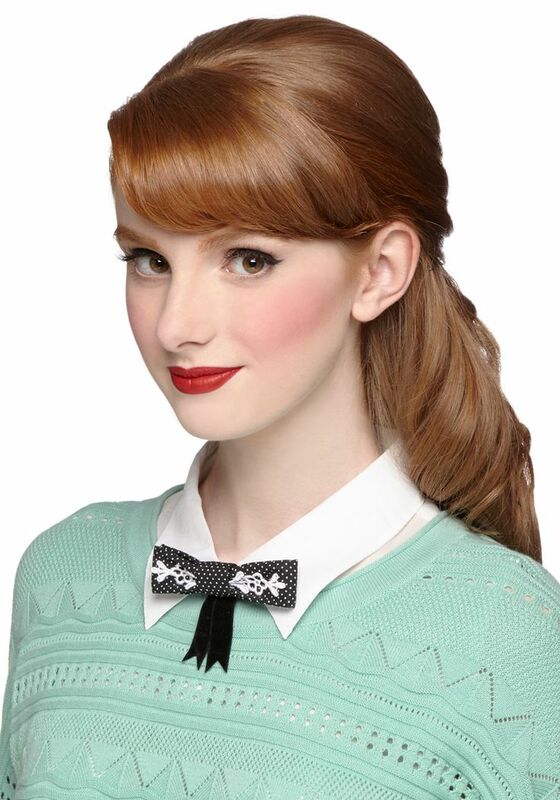 Twelve different styles of Lady Ties are now available in the Flapper Girl Shop. To celebrate the launch of this new line, I am having a little giveaway! For a chance to win your choice of Lady Tie from my shop, leave me a comment telling me which current design is your favorite, and what colors or patterns you would like to see next. Please be sure to leave your URL or email address so I have a way to contact you if you win. Has anyone checked out the premiere episode of Portlandia yet? Flapper Girl coffee cozies make an appearance in a scene at In Other Words (aka Women & Women First, as it’s named in the show). Steve Buscemi (!!) walks in to use the restroom, then is confronted by the owners of the shop, who enforce their strict “Restroom is 4 Paying Customers Only” rule. At one point, Mr. Buscemi picks up a coffee cozy and says, “Can I buy this wristband?” Then general hilarity ensues! 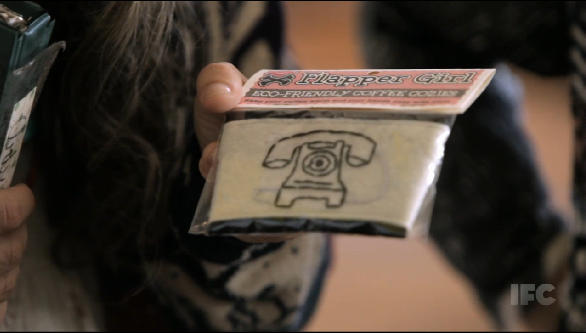 It is so awesome and exciting to see my coffee cozies used as a prop in this show! Thanks Portlandia! You can peep the full first episode over at Portlandia’s website on IFC, or on Hulu. The scene with the coffee cozies starts about 8:52 minutes into the episode. As promised, I’m launching my 2010 Halloween garland line today! This year’s new retro Halloween apron designs will follow soon, as well as some other very cute spooky-n-festive goodies. But for now, here are the garlands! Available here in the Flapper Girl Boutique. To celebrate the start of summer, we’re offering FREE SHIPPING on ALL ORDERS from the Flapper Girl Boutique. Had your eye on one of our retro paper garlands? Need a tulle hostess apron for all your summer shenanigans? Want to spice up your summer wardrobe with some ruffle bum knickers? Then please take advantage of our week-long free shipping offer! I’m am so very excited to announce that you can now find the Flapper Girl line at Memento (formerly Greg’s on Hawthorne). I have been shopping at this boutique for years, and it is definitely one of my favorite Portland gems. The fact that Memento is carrying my line now is a bit surreal and incredibly awesome—sort of like your super secret crush asking you out to the prom. • Vintage-Inspired Floral Cameo Pendants in peach, blue, and BRAND-SPANKING-NEW color combos: purple and red! • Garlands: Vintage Carnival, Retro Cameras, Flappers, French Boudoir, & Art Deco Bibliophile. • Hair Pin sets made from vintage buttons and vintage plastic flowers. The bright colors in these really pop, and are the perfect accessory for adding a splash of color to your spring & summer wardrobe. Memento is located at 3707 SE Hawthorne Blvd. in Portland, Oregon.